Get the skinny on the bunny basics: is a rabbit right for you? What’s a bun’s diet? What kind of effort will it take? By nature, rabbits are social animals and can benefit from having somebun to love. Get the basics on owning two rabbits and how to make them fall in love. We’ve outlined the key elements of a good home and included some picture examples from our amazing adopters. House Rabbit Society is an international, nonprofit animal welfare organization based in Richmond, California that rescues and places abandoned rabbits as well as educates the public. 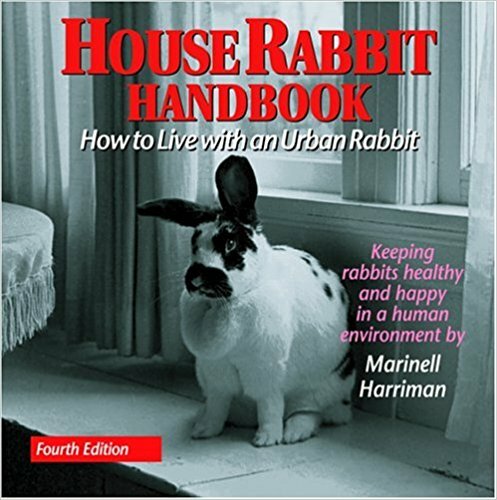 The House Rabbit Handbook by Marinell Harriman is packed with the collected wisdom of bunny lovers and charming, candid photos of their pets. This manual tells readers how to successfully integrate a rabbit into one’s life.